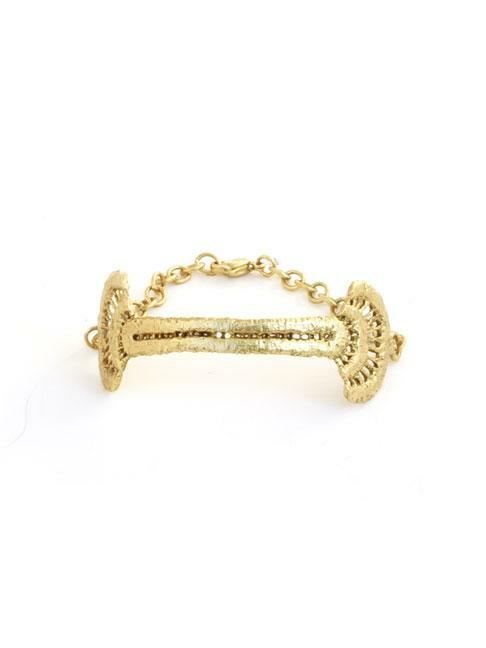 This bracelet features a lace cast bar, minimal and edgey. It has an antique finish over a bronze lace cast. Measures 7" long.